How Do Bloggers Make Money - Sincerely, Sara D.
I am celebrating 5 years of blogging this month (technically 6, but I don’t count the first year since my mom was my only reader). 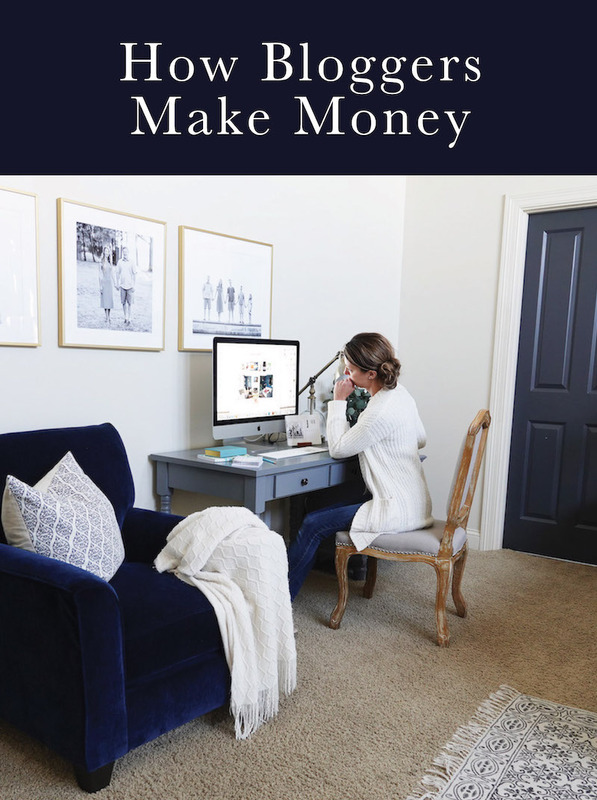 The most common question I receive regarding my career is “how do bloggers make money?” I thought it would be fun to share a little of my blogging journey and how I monetize the blog. I will share more about how I fell into blogging but first, let’s talk money (because let’s be honest – that’s why you’re here). The majority of my income comes from ads and sponsored posts. When I first began blogging, I used Google AdSense. I had to decide where to put the ads (something I was clueless about). Once I reached a certain amount of page views, I was able to apply for an ad network. I joined The Blogger Network and was amazed at how much more money I could make. I no longer had to worry about ad placement – my network did everything for me. As I continued to grow, I joined another network: AdThrive (who I am still with today). Another way I make income is through sponsored posts. In the beginning, I had to work for product only (and wasn’t very picky on what product I promoted). However, as I grew, I found that I could be more particular about the product and brand I promote. Also, I want to protect my brand and my readers, so I am selective about who I partner with. Now, I not only work for product, but I often am paid as well to share my reviews on the blog. As my social media has grown, I have also received sponsorships for social posts – mainly Instagram. When I do sponsored blog posts, I try to integrate valuable information in the post beyond just the product review. For example, here’s a paid post I did for a toilet company. 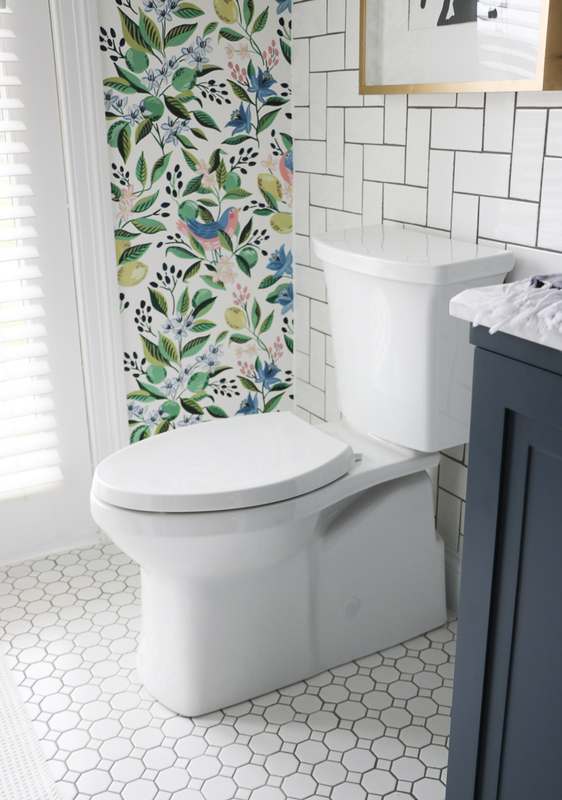 Most likely no one is going to want a blog post on a toilet review (unless they happen to be in the market for that particular toilet), so I share a tutorial on how to remove a toilet. Hopefully someone looking to learn how to remove a toilet will happen upon my post for the tutorial and then also learn more about the toilet I’m promoting. I also add equity to my home through the DIY projects I work on. I partnered with several brands to remodel our kitchen, and I was part of a renovation challenge and remodeled our bathroom. Both of these projects were for product only, but with some sweat equity and product, I was able to create updated spaces that add value to our home. I am asked where I find sponsored posts, and it’s amazing how many marketing companies specialize in influencer marketing. I am a member of several networks where the campaigns are listed, and you can apply (and pitch your idea). As I’ve grown, I’ve had more opportunities and marketers (and or companies) reach out to me directly. Besides ads and sponsored posts, I also make money through affiliate links (Amazon, Reward Style and Shop Your Likes). However, I am the worst salesperson out there, so I definitely don’t push these affiliate links for their full potential. I wrote an eBook and made a little income off it, but it wasn’t enough for me to want to write another. However, I know several bloggers who have had a lot of success writing eBooks and/or courses. Unfortunately running a blog isn’t all cash flow in. There are a lot more expenses than you wouldn’t expect. I pay website domain fees, monthly website host fees, services to help speed up my site, website developers, an email service provider, a monthly fee for creative software, conference and travel fees, and equipment (computer, phone and camera equipment). Growing up, I was always creating, and I believe I was created to create. I loved making handmade gifts and was probably the only elementary-aged girl with a victorian themed room (complete with doilies)! In college, I majored in Marketing and General Studies in Art & Design. After school I worked at a greeting card company and put my husband through school. Once our first child was born, we decided it was best if I stayed home with him. 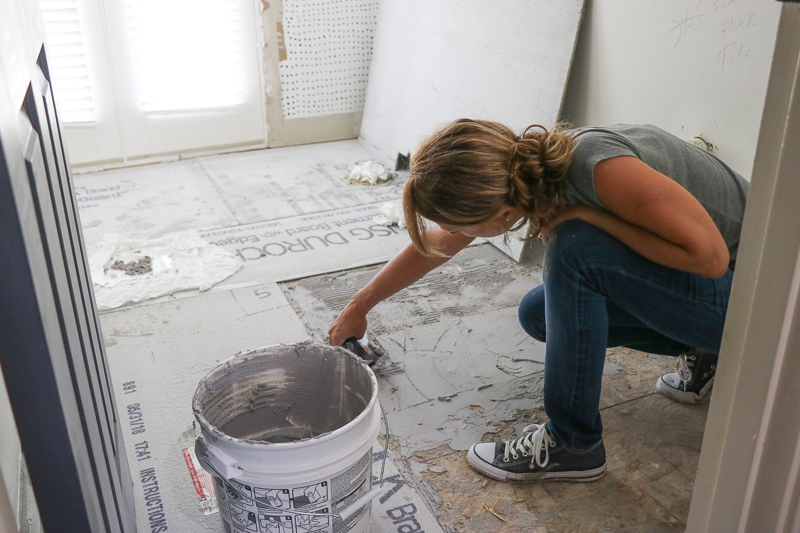 I began little home decor projects while I was a stay-at-home mom of little kids. During naps and bedtime, I would paint walls and furniture. I was created to create, and I found that these little projects brought me sanity. 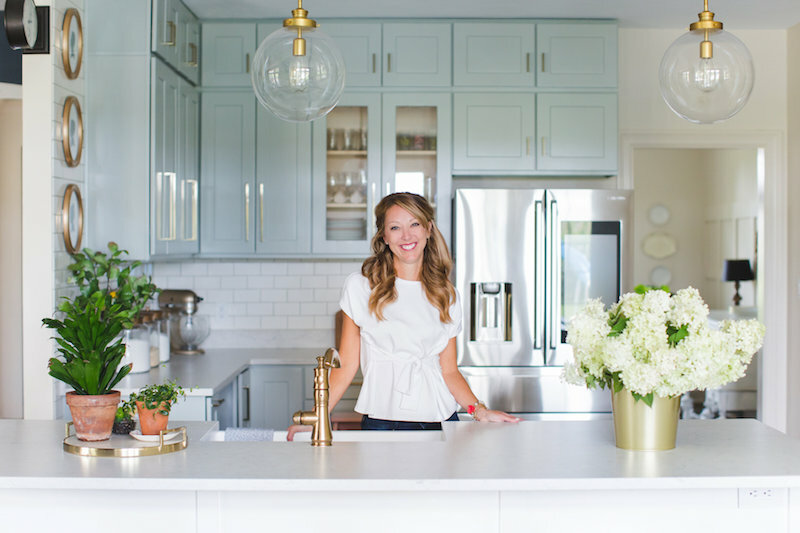 At the time I also had a Etsy shop where I created custom invitations that I appropriately named, “Sincerely, Sara D.” However, I was encouraged by friends to share my home decor projects and eventually found I loved the home decor side more than stationery side. So, Sincerely, Sara D. the blog was born. The first year I shared several projects – most involving paint. 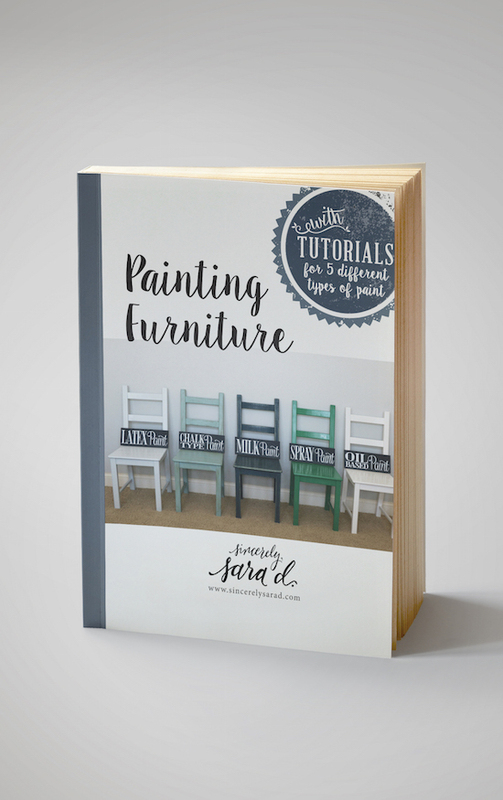 Unfortunately I’ve since then deleted lots of those early posts, but I did save some like the chalk paint tutorial. I cringe now at my photography, but it’s a perfect example of my journey (and how far I’ve come)! If you have any questions on blogging, don’t hesitate to reach out to me. Comment or send me an email! Thank you so much for sharing this information with us. I have always enjoyed your blog and I have seen you at the Haven Conference for the last two years. Best wishes for the New Year and I look forward to your projects and posts. Thanks Dana – say hello if we run into each other again! It is so generous of you to share how your site helps to support your creativity. I’ve recently since May of ’18, started painting, and now using resin. A huge learning curve. I think some of the paintings are good. But I’m getting to the point where I have way too many sitting around in my house. My dining room is no longer a place where we can eat, but a studio that isn’t very well organized. I’d love to sell some just to cover my expenses, but feeling too shy that they simply aren’t good enough for anyone to buy, so I just give them away mostly to some of my longtime clients (I’m a therapist). But then read that your mother was your only reader for a bit. I don’t know if that is enough to give me the courage to move forward, but I wanted to thank you for what you wrote and your blog in general. Hi Sara, I just recently found your lovely blog. Your home is beautiful! Thanks for the post on how bloggers make money. I don’t know if you usually do this, but I wonder if you’d be open for a short informational interview via video conf call. I’m in Sacramento looking into a job change from nonprofit work to possibly interior design online. Your recent post made me want to bite the bullet and just ask you. Let me know if you do these kinds of calls. Thanks so much!